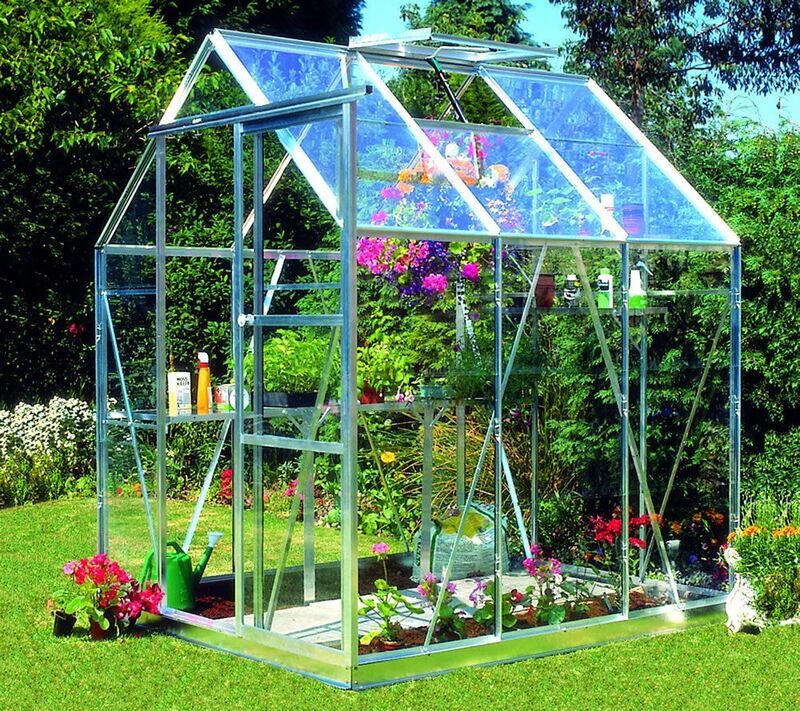 The Countess 5x6 is strengthened at both the eaves and ridge and features aluminium kick plates that go around the perimeter of the greenhouse protecting the glass from stray pebbles thrown up by the lawn mower or clumsy feet. Eden 4mm Twin Wall Polycarbonate is the ultimate glazing choice for safety in family gardens. This is especially important in educational and public environments where children may be present and insurance may dictate that glass is not used. Polycarbonate glazing gives the Countess amazing insulation and heat retention properties and is the glazing of choice in Europe above glass. All Eden models with toughened and polycarbonate glazing now come with glazing capping as standard, eliminating the need for traditional fiddly glazing clips. Capping also makes the greenhouse easier to clean and a lot more wind resistant. This Countess Silver 5x6 Greenhouse with polycarbonate has 1 opening roof vent for ventilation, a single sliding door and integral guttering to collect rainwater.